Disclaimer: This post is not about food, but something I still think you’ll enjoy. 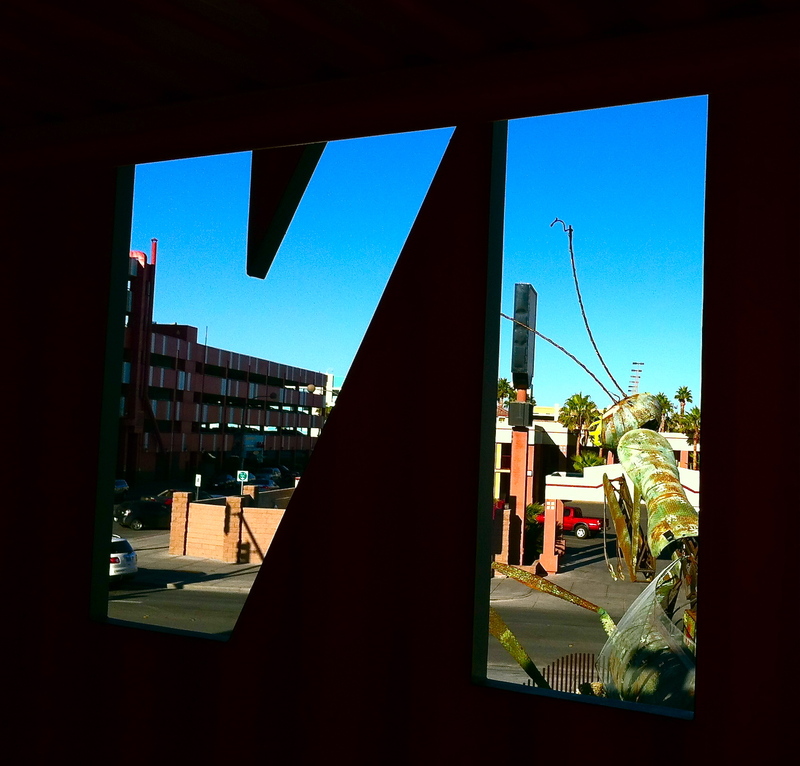 Today marks the grand opening of Downtown Container Park, a new addition to the downtown Las Vegas landscape. While today is the official opening, many of the stores and restaurants opened to the public last week. When I first moved to Las Vegas, downtown was not a place to “be.” In fact, many people turned their noses up at downtown. For locals, hanging out at Boca Park, or Town Square, were much more acceptable and respectable options. I grudgingly accepted them, but they just never felt right. I guess, once a city girl, always a city girl. I wasn’t the only one who must have felt this way, because slowly, things started to change downtown. First, there was Beauty Bar, then the Griffin and the Downtown Cocktail Room, then the economy took a nose dive, and people wondered if that was it for Fremont East and downtown. But downtown was just taking a break, and the ball began rolling again, slowly picking up steam. That steam would soon include Insert Coins, The Smith Center, Le Thai, Drink and Drag, the Neon Museum and the Discovery Children’s Museum, to name a few, and now Downtown Container Park. While Downtown Container Park could be described as a mall, a typical mall it is not. The developers of Downtown Container Park, took a more innovative approach. The shops, galleries, and restaurants, that make up Downtown Container Park, are each housed in a container or cube, stacked up and arranged like legos, around the center piece park. All the shops are run by small, local designers and business owners, you’ll find everything from handbags, to a shop dedicated to crazy and colorful leggings, called no other than “Crazy Legs.” Each shop is only the size of a New York studio apartment (a descriptor for my east coasters) or about 250 sq. ft. Yes, only 250 sq. ft. While I know people who have closets bigger than this, my New Yorkers know, you can do a lot with just 250 sq. ft. While I enjoyed walking through the shops, and love the innovative use of the containers, my favorite thing about Downtown Container Park is the park, because what better place to just “be,” than a park. Las Vegas was built on adult entertainment and even as kid friendly as it has become over the years, its main driver is still adult entertainment. With the exception of the Discovery Children’s Museum, downtown was no different. Downtown Container Park changes that. On Saturday, I saw something that I don’t always see in downtown, families, from the littlest baby, to grandparents, all together, enjoying the park. While I usually write about food, I didn’t get a chance to check any of the dining options at Downtown Container Park, of which there are 4 (Big Ern’s BBQ, Bin 702, Pinches Tacos, Pork ‘n Beans). But I will be back, so look forward to future posts on what the food scenes is all about, at Downtown Container Park. While there is still more development and projects in the works downtown, to date, I have to say Downtown Container Park is my favorite. I encourage all to pay a visit, even if only to check out the giant praying mantis, that shoots flames out its antennae, because what would Las Vegas be without a giant, fire spewing praying mantis. This entry was posted in My Ramblings and tagged Boca Park, city, container park, downtown, Fremont Street, Las Vegas, local, park, Town Square by greedygirlinlv. Bookmark the permalink. I went to a container park in Philadelphia last summer. They really are a great thing for urban parks. Wait..I recall…kayaking..a small restaurant on an outlet onto Lake Michigan in Port Sheldon…they had a container bar outside so the container thing is spreading. They make great pop up parks for summer. They are great urban parks! I’ve also seen pictures of them in Europe. So glad we have one right here in Las Vegas.